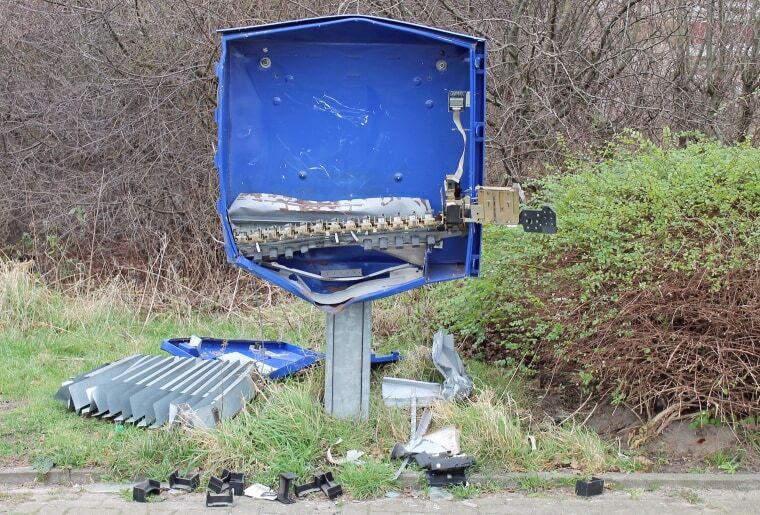 A man died after he was hit in the head by a flying piece of metal from a condom machine that he and two accomplices blew up in an apparent robbery attempt, police in Germany said Monday. The 29-year-old man was taken to hospital on Christmas Day in the western town of Schoeppingen, near the Dutch border, by the two other men. All three had fled the scene of the explosion in a car, leaving behind condoms and money scattered around the gutted vending machine. The two men told hospital officials that their friend had fallen down the stairs, injuring his head. Suspicious of their story, the officials called the police. During questioning, police said, one of them admitted that the three had blown up the condom machine, and that their cohort was hit in the head by metal as he tried to take cover from the explosion.